St. Joseph was founded in 1922. The name, at that time, was St. Anthony. The parish was renamed St. Joseph in 1940. St. Anthony was a mission of St. George in Ontario. 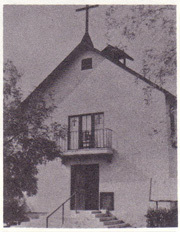 In 1935, it became a mission of Our Lady of Guadalupe in Ontario. St. Joseph became a full parish in 1943. 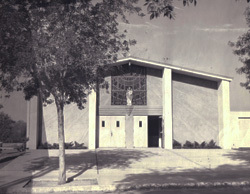 The second church, plus the school, convent, rectory and auditorium were dedicated on Thanksgiving Day, November 24, 1955. Our current hall was the church. There was a ground breaking ceremony held on Sunday, September 3, 1978 for what is now our church building. The church was completed and dedicated on Sunday, October 12, 1980. The wooden crucifix was moved from the older church to the current church.